The Finnish Safer Internet Centre exists to promote a safer and better use of the internet and mobile technologies among children and young people. The objective of the awareness centre is to raise citizens' awareness and competences in creating better and safer internet and other digital environments. The centre organises awareness-raising campaigns and develops materials and toolkits for dissemination. Cross-sectorial dialogue and partnerships with national organisations and close co-operation with the academic research community are essential for reaching the objectives. One of the main awareness-raising efforts of the Finish Safer Internet Centre (FISIC) is the annual Media Literacy Week (MLW) that includes the Safer Internet Day (SID) campaign. The MLW is planned and carried out together with around 50 partners and the actions are implemented in various educational institutions. FISIC also coordinates the Nordic Game Day in an effort to promote game literacy through hundreds of local events in November. In addition, the awareness centre organises an annual Media Education Forum supporting national cross-sectoral co-operation and partnerships. Several campaigns, educational materials and events are created or promoted by the awareness centre annually. The awareness centre is also responsible for the coordination of the entire Finnish Safer Internet Centre. The main objective of the helpline is to answer online questions and telephone calls from children and parents related to children's use of online technologies. Parents and children can obtain advice on how to deal with harmful contact (grooming), harmful conduct (cyberbullying), and harmful content, and uncomfortable or scary experiences of using online technologies. All helpline volunteers go through basic training before they start volunteering. The volunteers are also offered training on online safety issues and are provided with online safety support material. Save the Children Finland (SCF) is an important player in protecting children in digital media. Through education and training, SCF improves children and adolescents' understanding of safe behaviour on the web as well as that of the professionals who work with children. SCF maintains a web-based Hotline Nettivihje that aims to promote and speed up the removal of illegal sexual abuse material depicting children on the web. Nettivihje aims to protect the rights of the child and prevent re-victimisation. Nettivihje is a part of the International Association of Internet Hotlines (INHOPE). Hotlines allow any web user to report online imagery or activity related to sexual exploitation and abuse of children. Any image or activity that is assessed to be illegal can be reported anonymously. The work of Nettivihje consists of daily assessment, classification and analysis of the reports using state-of-the-art technology and systems according to international criteria. Nettivihje passes on the information about any material and activities it assesses to be potentially illegal to the National Bureau of Investigation of Finland so that appropriate measures can be taken. Information about material hosted outside of Finland suspected to be illegal is forwarded to the country in question through the INHOPE network. This enables further measures to be taken and the rapid removal of child sexual abuse material (CSAM). Save the Children Finland also maintains a preventive online self-help material, Otanvastuun.fi, for people who are worried about their sexual interest, thoughts, feelings or actions concerning children. Children and young people's participation is included in project actions whenever reasonable: not just by one single youth panel but in various groups of different-aged minors. Youth participation actions are involved, for example, in the Peer Student Programme implemented in 90 per cent of Finnish schools and in the Online Peer Student Programme carried out in youth voluntary groups. Awareness-raising campaigns, such as Media Literacy Week (MLW) and other awareness-raising work, encourages children and young people to actively participate in order to improve their media skills and take action in matters concerning their rights and wellbeing in the current media culture. The Finnish Safer Internet Centre (FISIC) works with a well-established multi-stakeholder network, involving the public sector, private sector and civil society to help make the internet a trusted environment through actions that empower and protect users online. More than 80 organisations involved and contributing to FISIC. Media Literacy Week participated in annually by more than 2,000 local level institutions such as day-care centres, youth centres, schools, libraries etc. More than 300 local events arranged during the Finnish Game Week. More than 80 media education professionals participating annually to Media Education Forum. 250 school visits and workshops for parents organised with 15,000 participants nationwide. 1,000 helpline contacts related to online media via chat, phone or email. 4,000 reports received and processed annually by the Finnish hotline Nettivihje. More than 40,000 individual images/videos processed annually in ICCAM - database (or equivalent). 150 informative messages shared offline or online annually on CSAM (child sexual abuse material)/CSEM (child sexual exploitation material) and other sexual, exploitative material of children as well as "I take responsibility" preventive self help programme for people who have a sexual interest in children (potential sexual offenders/sexual offenders). Annual report published on illegal and grey area images of children. Better understanding and analysed data on illegal CSAM and exploitative sexual material (known as Grey Area Images) to be used as a basis for consulting and advocacy work. 20 national or international events organised annually on preventing the production and consumption of CSAM and other sexual, exploitative material of children. More than 300 professionals have annually participated in hotline events and their knowledge about risks related to child sexual harassment, abuse and exploitation through digital devices have been enormously increased and their awareness of ways and tools to protect children online have improved. 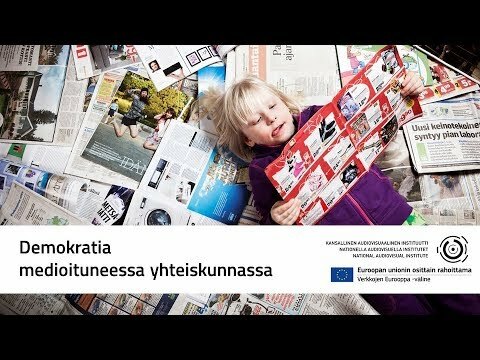 The Finnish Safer Internet Centre (FISIC) is a joint project of three individual organisations: the National Audiovisual Institute (KAVI), Save the Children Finland (STC) and the Mannerheim League for Child Welfare (MLL). Each organisation has an established role in Finnish society and strong national and international relations. The main national supporter of the project is the Ministry of Culture and Education.